Seth and Marc Gold, brothers born and raised in Los Angeles, first met Rob Herzig at summer camp in Canada when they were kids. Over the years, friendships developed and eventually Seth married Rob’s sister, making them family. Seth was working in the music business in NY; Rob, who has a MBA, was living in Canada where he owned a jewelry import company; and Marc was working as a writer and living in Central America. 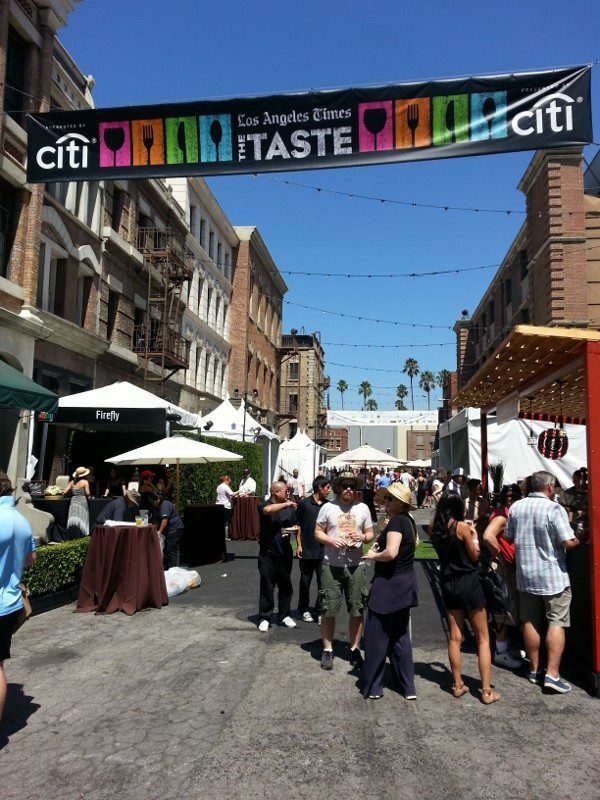 In addition to being family and friends, they shared an interest in craft cocktails and premium spirits. While vacationing together, the brothers were going to make mojitos. As they looked for white rum for the drinks, they realized that while there were lots of rums on the market, they saw an exciting opportunity to create an accessible and premium rum in an underserved U.S. market. “We thought if we could do white rum and a flavored rum that would be good enough to sip on the rocks, like a tequila or scotch or bourbon, then we could change the perception of rum so that it is more like it is in Central America,” explained Seth. Around the same time, through Seth’s friend Brandon, musician Bruno Mars’ manager, they found out that Bruno had been a connoisseur of rum for all of his adult life and shared their passion for creating an elegant and refined sipping rum for the North American market. Coincidentally, Mars grew up in Hawaii with parents from Puerto Rico and the Philippines, all places where rum is very popular. Bruno became their fourth partner and the research began. Years of research went into visiting or tasting samples from distilleries in California, Mexico, Peru, The Netherlands and Africa to hone in on the qualities they wanted to capture in Selvarey. Their search eventually led them to a well-known and legendary distiller in Panama – Francisco “Don Pancho” Fernandez. So, the entire group took a trip down to Panama to meet Don Pancho at his jungle-based distillery in the Herrera province. “One of our major goals was to develop a cacao-infused rum. We knew Don Pancho was a purist and did not know his position on creating flavored rum,” said Seth. But, coincidentally, he had been experimenting with chocolate and rum for nearly three decades, and the co-founders benefited from all of his experiments and research. 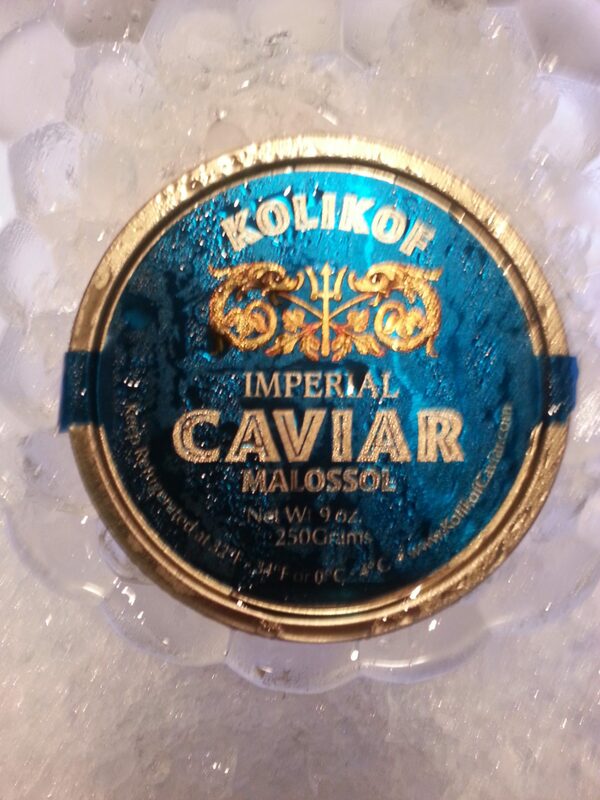 The ultimate goal was something that was enjoyable on the nose, easy to sip on its own, and versatile to mix with cocktails. “After collaborating with Don Pancho on the recipe, we eventually finalized the formula with him in Panama,” said Rob. With the rum formula underway, the next step was to name the product. The team decided on Selvarey, a loose Spanish translation of “king of the jungle,” which pays homage to the legendary Don Pancho and his jungle origins. After formula and label approval, it was time to order the bottles and labels and ship them to Panama to start bottling, followed by customs, taxes, warehousing, and determining pricing. 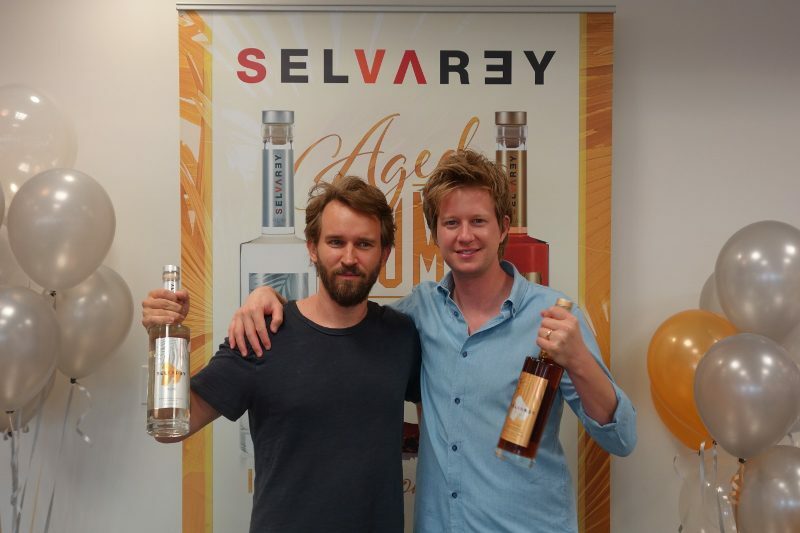 The result—in April 2014, Selvarey Rum launched with Southern Wine & Spirits in California with two expressions: Selvarey White, a blend of three- and five-year old rums, and Selvarey Cacao, five-year-old rum infused with Panamanian-sourced cacao. 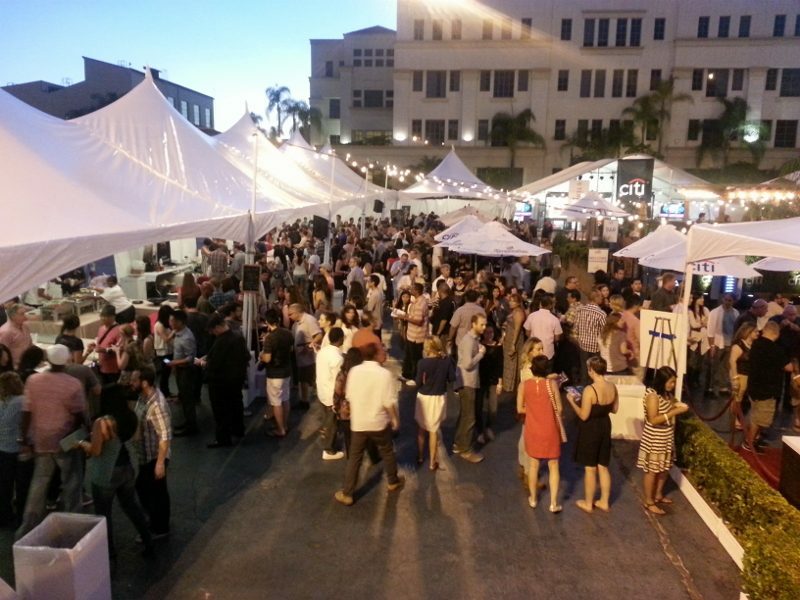 With the rum in the market, Selvarey began to focus on the distribution strategy in Southern California, garnering fans amongst acclaimed mixologists, and bars and restaurants highly respected for their craft cocktail programs, as well as off-premise at liquor stores. As of early November, Selvarey Rum has already expanded into Nevada, with additional domestic markets being added in the coming year. As the summer comes to an end, we think back to one of the most fun and quintessential Southern California events this summer: “Evening On The Beach”. There is nothing better than dressing up, kicking off your shoes and sticking your feet in the sand. 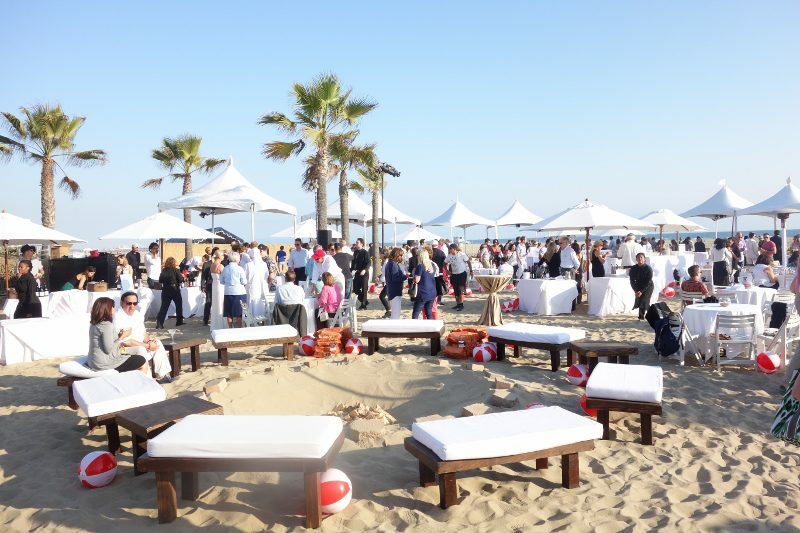 With wine glass in hand, a couple hundred guests attended the 5th annual “An Evening on the Beach” in support of St. Vincent Meals on Wheels of LA.